Dr. Oba Otudeko, CFR, founder and promoter of the OOF, is also Chairman of Honeywell Group and Group Chairman, FBN Holdings Plc. 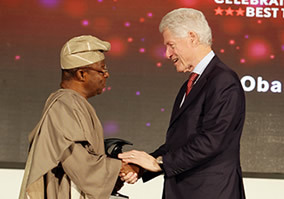 He is a foremost Nigerian entrepreneur and visionary reputed for his highly successful domestic and foreign investments that cut across diverse sectors of the economy. He was, at various times, Chairman, First Bank of Nigeria, FBN Bank (UK) Limited, Airtel Nigeria and Fan Milk of Nigeria Plc. 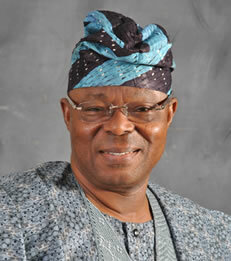 He has also served on the Boards of Central Bank of Nigeria (1990 ??? 1997), Guinness Nigeria Plc (1999 ??? 2003), British American Tobacco Ltd (2001 ??? 2004) and Ecobank Transnational Incorporated, headquartered in Lome, Togo (2002 ??? 2010). Between September 2006 and August 2009, he was the 16th President and Chairman of Council of the Nigerian Stock Exchange. Professionally, he is a Chartered Banker, Chartered Accountant and Chartered Corporate Secretary. 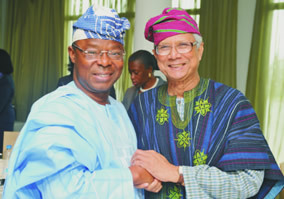 Dr. Oba Otudeko holds the Nigerian National Honour of Commander of the Order of the Federal Republic (CFR), awarded in 2011. He was Chancellor of the Olabisi Onabanjo University, Ago-Iwoye, Ogun State from 2001 to 2010 and currently serves as a member of the Office of Distinguished Friends of the London Business School(UK). © 2016 The Oba Otudeko Foundation. All Rights Reserved.